SCE crews work to restore power after the Erskine Fire. SCE expects most of the power to affected residents in the Kern River Valley to be restored by this weekend. UPDATED June 30, 6:30 p.m. The Erskine Fire in Kern River Valley is now 70 percent contained, and Southern California Edison crews will work through the night to restore power to residents amid the fire’s devastation. As of 6:30 p.m. Thursday, about 100 customers remain without electricity as a result of the fire. Customers with power may experience brief interruptions due to ongoing infrastructure and repair work to stabilize the system. 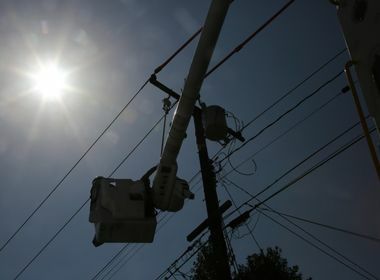 SCE expects most of the power to be restored by this weekend. 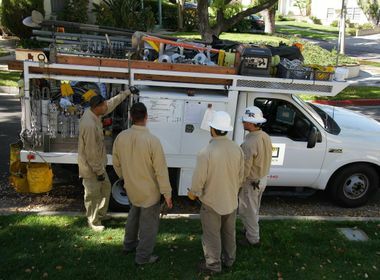 To help temporarily restore power, SCE has deployed 17 generators in the area. This includes some priority areas such as Mt. Mesa Market, Mesa Clinical Pharmacy and Rural Health Clinic. Other key facilities include police, fire and hospitals pending clearance from the fire department. As crews work to restore electricity, power will be switched from generators back to grid service and may cause short interruptions during the changeovers. 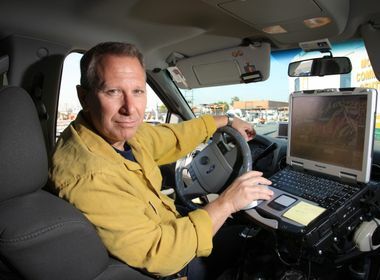 In some cases, power may not be restored to property damaged in the fires that will need additional repairs and inspections from local county officials. The Erskine Fire which started last Thursday has now burned 47,000 acres and is 70 percent contained. As of Thursday, 150 transmission and distribution poles and 41 transformers have been replaced and crews have restrung about 50,000 feet of wire. About 250 SCE personnel were deployed in the area to support damage assesment and restoration efforts. A local assistance center has been established at Woodrow Wallace Middle school located at 3240 Erskine Creek Road in Lake Isabella. The site is staffed with SCE representatives and other support agencies to provide assistance to affected residents. SCE is distributing bottled water, ice and flashlights to affected residents at the center, which will be open from 9 a.m.-6 p.m. Friday. SCE personnel on the scene have reported that displaced wildlife — especially deer and bears — is very active due to current conditions and SCE urges extra precautions in the area for members of the community. If you see downed lines, please call SCE at 800-655-4555 and report it to the police and fire departments immediately. Never touch or try to move a downed power line. If possible, stay away from areas severely impacted by the fire damage. Traffic signals could be inoperative, poles and power lines could be blocking streets and utility crews could be in the area making repairs. If you are without electrical service in your home or business, leave one light on to serve as a signal that electrical service has been restored in your area. This will help limit stress on the electrical system when SCE restores service.